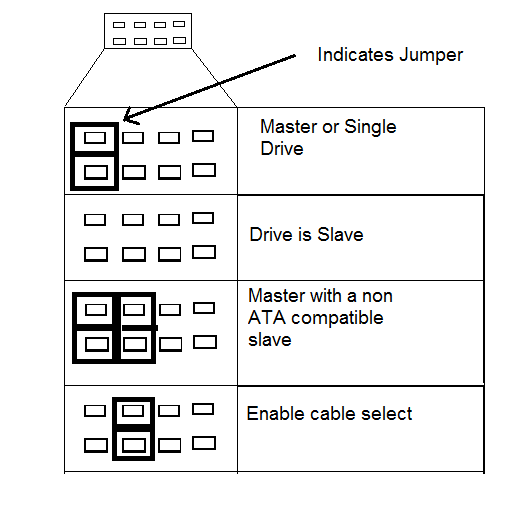 Try removing the jumper and seeing if that works - most CDROM drives are configured either on their own cable or as a slave - in either case removing the jumper altogether should work. Note that once you have set this up, you should go into the BIOS and (a) Check the drive is detected and (b) reset the boot order if required. Dell PC's have always preferred Cable Select setting for all drives. Not the answer you're looking for? Browse other questions tagged hard-drive pata dell-precision or ask your own question.